VERANDA, built-green by Adera! Excellent Value and Rarely available, 3 Bdrms Up (2 F/Baths) + below "4th" Bdrm with ENSUITE 3pc bath. Bright and Spacious Floor Plan . Kitchen recently upgraded with Stainless steel stove and Fridge, very F unctional Pantry, and good sized- eating area, balcony overlooking yard. Unit is located in the Quite side of this Family - oriented complex , 2 Blocks to Elem. 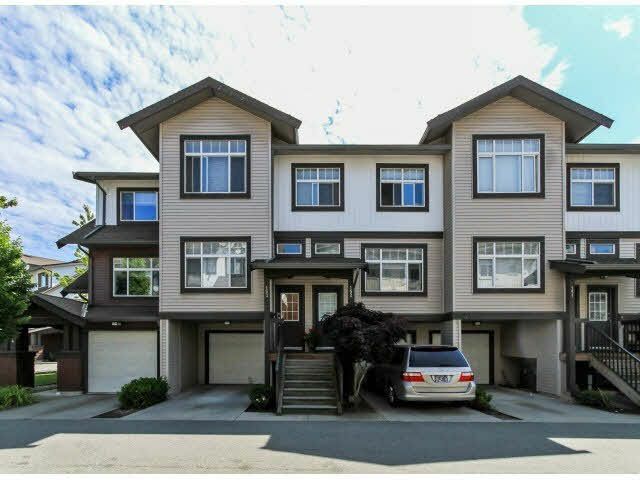 school , "short-cut" access to 2 Bus stops, minutes to sky train short walk to shops, and Fleetwood Rec. Center. "LOW strata fees".